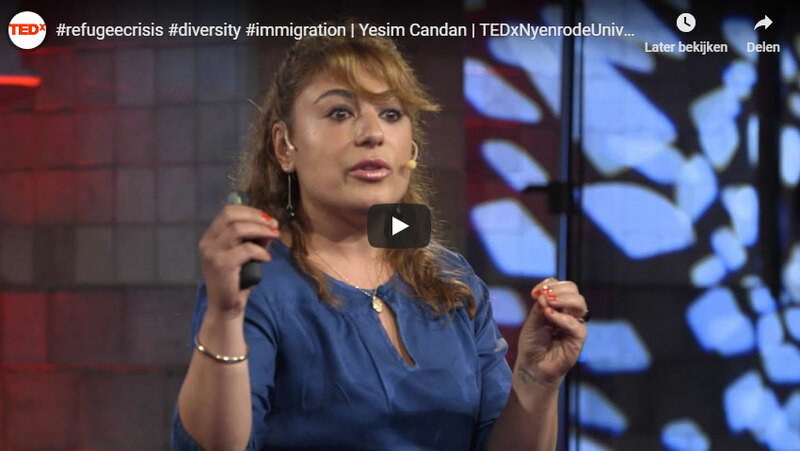 Yesim Candan talks about biculturality at a 2015 TEDx event at Nyenrode University. As a child of Turkish parents Yesim Candan was born in Rotterdam. After high school she studied at the Rotterdam International School of Economics, surrounded by cultures from around the world. Her follow-up studies at Nyenrode University fortified Yesims energy to work with people and cultures. After her first job at Reckitt Benckiser, she decided to follow her passion: given the perception of people with a bicultural background in the Netherlands a new impulse. Yesim joined the Baak Management Centre VNO-NCW and coined the term ‘bicultural’ in the Dutch language as an alternative to ‘foreign’. She emerged as a pioneer, who can build bridges between business, government and politics. Yesim got to know personalities including former Prime Minister Balkenende, Ahmed Aboutaleb, HRH Queen Maxima and Neelie Kroes who were all committing to her conviction and passion for her work. In 2011 she published her first book ‘Nederland Word Wakker’ which discusses integration in the Netherlands. This talk was given at a TEDx event using the TED conference format but independently organized by a local community. Learn more here.